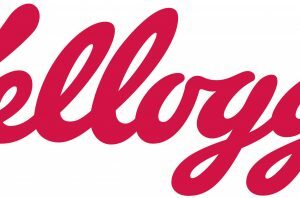 Kellogg Company announced today that it is expanding its Global Sustainability Commitments to include a goal of working towards 100 percent reusable, recyclable or compostable packaging by the end of 2025. 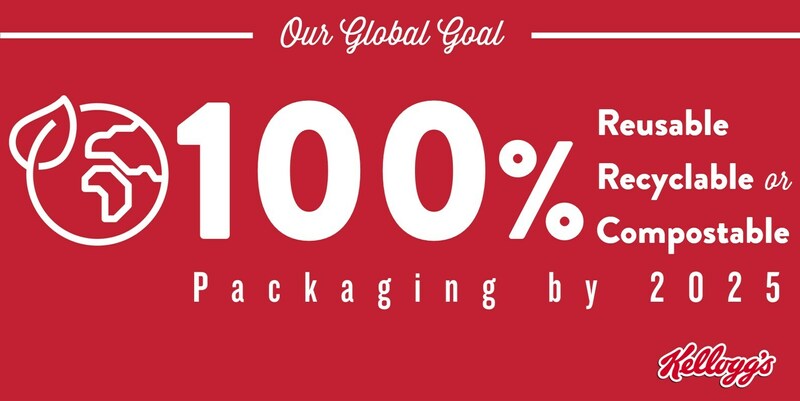 This aspiration builds on Kellogg’s current sustainable packaging commitment, as part of its Sustainability 2020 goals, to continue to ensure 100 percent of all timber-based packaging is either recycled or certified as sustainably sourced. Kellogg has already made steps toward “greening” its own facilities. In April 2018, the company announced the transition to compostable and paper food service products in all of its plants and offices globally by the end of 2018, fully eliminating all remaining single-use foam and plastic serviceware, plastic straws and plastic water bottles. “We cannot accomplish this ambitious goal alone, and we will collaborate with new and existing external partners, our customers and other innovators to identify packaging solutions that protect and enhance our foods while delivering on the quality and great taste that consumers expect from us,” said Lou Massari, Senior Director, Global Packaging, Kellogg Company. These actions all contribute toward Kellogg’s support of U.N. SDG #12- Sustainable Consumption and Production, including 12.5, to substantially reduce waste generation through prevention, reduction, recycling and reuse. It also contributes to Kellogg’s commitment against SDG #12.3, to halve per capita global food waste at the retail and consumer level, and to reduce food losses along the production and supply chains including post-harvest losses by 2030. At Kellogg Company, we strive to enrich and delight the world through foods and brands that matter. Our beloved brands include Pringles®, Cheez-It®, Keebler®, Special K®, Kellogg’s Frosted Flakes®, Pop-Tarts®, Kellogg’s Corn Flakes®, Rice Krispies®, Eggo®, Mini-Wheats®, Kashi®, RXBAR® and more. Net sales in 2017 were approximately $13 billion, comprised principally of snacks and convenience foods like cereal and frozen foods. Kellogg brands are beloved in markets around the world. 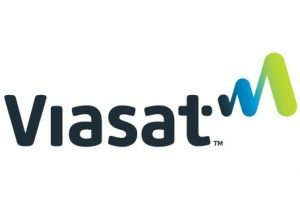 We are also a company with Heart & Soul, committed to creating three billion Better Days by the end of 2025 through our Breakfasts for Better Days global purpose platform. Visit www.KelloggCompany.com or www.OpenforBreakfast.com.